Companies chasing after the elusive technology hope to build reactors by 2030. For as long as scientists have dreamed of nuclear fusion reactors that could provide humanity with cheap and clean electricity, the technology has always been a distant dream. Predictions for when that dream might be realized have long hovered around the “50 years away” benchmark — close enough to tantalize the public and justify grant applications, but far enough off that any given scientist would be long-since retired before they were proven wrong. But now nuclear physicists are getting bolder, according to a new Medium feature by Brian Bergstein, the former executive editor of MIT Technology Review. 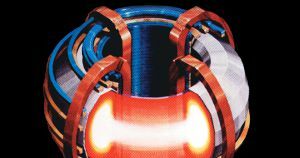 The piece is a compelling history of modern fusion research, but what also emerges is a sense that the timeline to practical fusion energy is starting to firm up. With the theory nailed down, researchers are now hammering out engineering problems — and many now believe fusion power plants will be a reality by the 2030s, if not sooner. According to Bergstein, Mowry was the industry expert with the most optimistic and concrete timeline for developing practical nuclear fusion reactors. He hopes to get a prototype up and running by 2022. Many of the remaining challenges are incremental engineering hurdles — and financial ones, like finding a government willing to invest in the process. For instance, MIT engineer Dennis Whyte and his colleagues have worked towards small-scale reactors that are better suited for practical use than experimentation, according to Bergstein. They’ve moved away from the gargantuan facilities that generally house fusion reactor prototypes and figured out how to implement replaceable parts so the devices don’t need to be rebuilt when one part breaks. While these engineers’ optimism should be taken with a shaker of salt, it’s also reassuring. Widespread nuclear fusion could power the world without giving off any greenhouse gas emissions and with minimal waste. It would give us reliable energy without needing the same environmentally-taxing battery networks that solar and wind farms need to maintain power when the sun goes down or the wind stops blowing. For now, nuclear fusion is still off in the distance. But if the scientists working on it think they can get prototypes up within the next three years, then maybe it’s time to start believing that this will actually happen.